Public or group transportation accidents happen, including those that involve buses. When they do happen, they can lead to serious injuries for the passengers of both vehicles involved. If you have been involved in a bus accident and suffered injuries, you should consult with Phoenix bus accident lawyer Nathaniel B. Preston “Nate”. Nate guides his clients through the legal process and helps them pursue the compensation they deserve. Public transit – City buses are used for transport to and from work every day. They can also be used to run errands. Public transit vehicles can be owned and operated by various government entities, such as the city or county. In some jurisdictions, a city or county might contract with a private company that manages the local public transit systems. School buses – School buses take children to and from school every day. They can be used for transporting students to school events, field trips, and take athletes to sporting events. 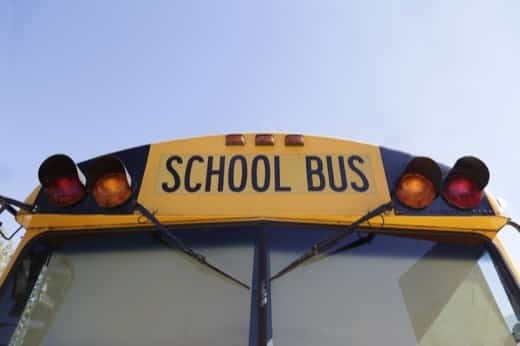 More often than not, school buses are owned by the school district or by a private school. In some instances, schools contract with private companies to provide bus service. Charter buses – Private charter buses are often hired to transport groups and organizations to and from sporting events, corporate events, or even vacations. These buses are owned by a private company, which is responsible for maintaining and operating the vehicles and hiring the drivers. Tour buses – Hired by special interest groups or professional tour companies, tour buses are used to transport people who are visiting specific locale or traveling a long distance. Tour buses are operated and maintained, as well as owned by the tour bus company, which is often not affiliated with the company that is sponsoring the tour. 15-passenger vans – For smaller groups, 15-passenger vans suffice. These groups might provide their own driver and rent the vans from truck rental or car rental agencies. If you have been involved in a Phoenix bus crash, you should know what you need to do to ensure everyone’s safety is put first and that any injuries get the medical attention they need. Bus Accident Attorney, Warnock MacKinlay Law, can help you with your claim. You should first check to see if anyone on board the bus has suffered injuries. If people have been hurt, call the police and an ambulance. Stay with the injured passengers until help arrives. If you can at all, move the vehicle so traffic isn’t obstructed or another safety hazard isn’t created from the crash. Exchange information with the drivers of any other vehicles, such as your names, numbers, insurance companies, and insurance policy numbers. Don’t take responsibility for the accident or admit fault. Never provide your insurance company with a recorded or written statement. Stay on the scene until the police have completed the report. The liability for bus accidents is dependent upon which vehicle caused the accident. If it is determined that the bus was at least partially to blame, the bus owner or operator can be held liable. This might be a school board, city, county, school district, or privately owned company. You have a time limit of 180 days to file a claim against a city, county, or public entity if those government entities are responsible for your injuries. If you don’t meet that timeframe, you could lose your right to be compensated for damages. Phoenix AZ bus accident injury lawyer Warnock MacKinlay Law understands all of the ins and outs of bus accidents and will help you sort out any complications. Nate is dedicated to his clients, helping them get the compensation they deserve. He offers a free initial consultation. You never pay Nate a thing until he recovers compensation for you. If you don’t get a settlement, Nate doesn’t get paid. If you or someone you love has been involved in a Phoenix bus accident, schedule your free case evaluation with Nate by completing the online form or by calling (602) 652-2009.